Casein proteins are pH sensitive and gel in the acidic environment of the stomach. As a result, it can take more than twice as long for caseins to be broken down into their amino acid subcomponents than whey and other proteins. Because of their unique time-released qualities, caseins are aptly described as anti-catabolic or muscle-protecting proteins. Faster digesting protein is desirable immediately before and after exercise to help refuel recovering muscles, but slow digestion and absorption may be more beneficial at other times including bedtime when your body typically goes for hours without food. Casein products are acid sensitive and thicken in the stomach. Compared to some other proteins, it can take longer for our Gold Standard 100% Casein™ to be broken down into its amino acid subcomponents. By using only premium micellar casein as a protein source, Optimum have created a formula that sets the standard for slow digesting protein support. Averages based on 42 total ratings. I feel like I've just had a dessert when I take this before I hit the hay. I use a little under 400ml milk & water and heat it before adding the casein. Great product, mixes well, great product with good results, next day delivery! First Casein purchase (recommend warmed liquid). 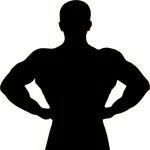 Mr.Supplement impressed me, firstly, with their excellent website and secondly, their speedy service. I'm in Tassie, so was shocked when it arrived next morning after ordering previous afternoon. Mixes alright, same as other Casein powders, shake early and fast. Taste is nearly as good as Max's Nitetime. Really great protein that keeps me full. Im even satisfied when I wake up. I love knowing theres a great formula working inside me to help grow my muscles whilst I sleep! I've used a few other caseins but keep coming back to this one. 100% amazing and filling product that does what it says it does! Its way to thick! Casein is meant for before bed time and to get the 24g-30g i want, i need to have a big shot of water (>600ml) which isnt practical before bed just to get it thin enough to drink, taste is ok, prefered Giant Delicious, am about to try MusclePharms casein. Good night-time protein. I use 100% whey too and have always liked optimum for their quality and good flavours. Tried a few night proteins and this is pretty good. Simple formulation, mixes well, slightly gritty texture, but there's really no avoiding that with casien, good flavours and gets results. You can tell this is quality stuff, and I'd use this again. I felt like my muscle gains were plateuing so I decided to add a nighttime protein and gotta say it's really helped. Optimum Nutrition Gold Standard 100% Casein is a lot thicker than the whey I'm used to, so it's a bit like custard rather than a milkshake, but the flavour is pleasant (went safe option and tried chocolate), and it's easy to drink. I'm putting on weight with casein, so I'm going to stick with it for a while and see where it goes. Sleep is when you recover and builld muscle, so it makes sense that you should feed your body with protein to use when you're sleeping. Casein is the best long release protein, and ON have made a good casein that releases slowly leaving you with no morning hunger and replenished muscle proteins. The ON Casein is a pretty thick protein shake, but it's a great formula which tastes great. I usually just use normal whey protein powders, but now that I've stepped up my training, it was either this or creatine and I chose to have some casein, and it';s definitely improved my gains so far. I'm noticing better recovery, more growth and my strength and lifts have improved quite steadily over the past couple of weeks. I'll try another casein next time, but this one was a solid first choice. I've used ON whey for years, deciding to add casein to my regime, this was a natural choice and they've another top quality product. Packing on the weight and feeling good when I wake up. This is working out for me really well. Thanks to the Mr Supplement staff for their patient advice. Optimum make the best quality protein on the market. this casein is one of the best, in a range of delicious flavors, and gives me the nutriton I need to bulk up when I'm asleep with a delicious taste. Great stuff. Love the taste, and it's doing it's job well. Fast delivery too. Recommended you guys to friends. I was a bit sceptical about night proteins at first, but this has seriously changed my mind. I've been feeling a lot less soreness and stiffness the day after a workout and I feel like I'm getting bigger, although I've changed up my routine recently so it could be because of that. The most surprising things is that you don't get that sick feelingof going to bed on a full stomach. The casein digests 100% in your sleep and you wake up feeling sick. If your thinking about going for a nightime protein, my advice is DO IT. i take this before bedtime, it mixes very well in a shaker and is very thick and tasty if you use around 500ml of water. Ive noticed gains already with this supplement, i dont wake up hungry and i dont get late night munchie attacks. And my recovery time has definitely increased. The cookies and cream flavour tastes delicious, im so impressed with ON that i have switched to their whey protein also. This stuff (choc peanutbutter flavour tastes pretty good) bit thick but good product, perfect to take just before bed. Very good product, didn't mix as well as the other products from Optimum. It often left alot of mixture at the bottom of the shaker despite rigorous shaking. Flavour was okay but wouldn't mind trying something not so sweet. Great tasting, ON powders are always good quality. Only recommendation is to use a large amount of water/milk. Thickens up considerably. Didn't overly like the taste but Optimum is a great company and the product is sound. Can I use this while taking Elemental Nutrition HGH? Yes, you can take it whilst taking Optimum Gold's Standard Casein. Our samples normally depend on what we get given by the supplier and Optimum Nutrition doesn't offer any sample sizes at this stage. Micellar Casein, Cocoa (Processed with Alkali), Natural and Artificial Flavours, Salt, Lecithin, Gum Blend (Cellulose Gum, Xanthan Gum, Carrageenan), Acesulfame Potassium, Sucralose, Aminogen®. Add 1 heaping scoop of Gold Standard 100% Casein™ to your shaker cup and then pour in 295mL-354mL of your preferred beverage. Cover and shake for 25-30 seconds. Keep out of reach of children. Store in a cool, dry place. Contents sold by weight not volume. Some settling may occur during shipping.